Direct Sportslink secured legendary former NFL quarterback Peyton Manning for the Toyota Motor Sales USA dealer meeting in Las Vegas, Nevada. The Toyota guests were able to get the "full Peyton Manning experience" by hearing him talk during the keynote closing speaking engagement, listening to his moderated QA session, getting an opportunity to have a photo taken with him during a meet and greet portion of the event and also enter a raffle to win officially signed Peyton Manning footballs. This two hour event put a great close on Toyota's three day meetings. Peyton Manning's personal appearance and words of wisdom with the always good humor was a huge hit with the audience! A Peyton Manning personal appearance, Peyton Manning speaking engagement, or Peyton Manning endorsement will reflect well on your company. To hire Peyton Manning now for any corporate appearance, fundraiser, motivational speaker event, personal appearance, autograph signing, or website endorsement please contact our celebrity agents at 1-877-6-SPORTS. We will contact Peyton Manning or contact Peyton Manning's agent and provide you with the booking fees and availability immediately upon your request. Direct Sportslink is the only sports speakers bureau and talent booking agency based in the United States securing only sports talent for corporations, associations, and organizations for motivational speaking engagements, personal appearances, and endorsements. We are the premier sports celebrity booking agency and a sports celebrity procurement expert. Accordingly, we will provide you with any relevant Peyton Manning website information and booking agent details so that you can hire Peyton Manning for your next event. 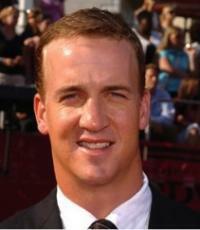 Peyton is the son of former NFL quarterback Archie Manning and an elder brother of quarterback Eli Manning. Manning played college football for the University of Tennessee, leading the Volunteers to the 1997 SEC Championship in his senior season. 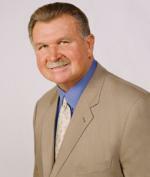 He was chosen by the Indianapolis Colts with the first overall pick in the 1998 NFL Draft. From 1998 to 2010, he led the Colts to eight (seven AFC South and one AFC East) division championships, two AFC championships, and to a Super Bowl championship (Super Bowl XLI) where he was named MVP. In 2009, he was named the best player in the NFL, and Fox Sports along with Sports Illustrated named him the NFL player of the decade of the 2000's. Manning had never missed an NFL game in his career, but was forced to miss the entire 2011 season due to injury. 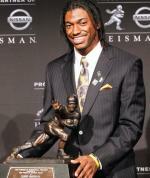 On March 20, 2012 he signed with the Denver Broncos. Based on your interest in Peyton Manning as a speaker or for a personal appearance, Direct Sportslink has provided you additional links below for other sports talent with similar appearance fees, speaker topics, and categories that match Peyton Manning.